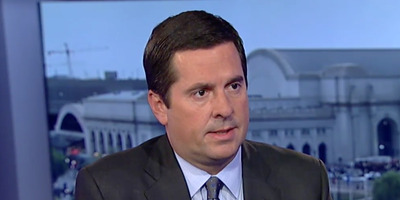 Fox NewsHouse Intelligence Committee chairman Devin Nunes. Some right-leaning media outlets began reporting on key details in the disputed Devin Nunes memo released on Friday. That’s according to CNN media reporter Oliver Darcy, who noted that outlets like Fox News and the Washington Examiner had begun reporting top-line points contained in the memo while other outlets scrambled to confirm the information. The report suggests that the Trump administration authorised the release to outlets friendly to President Donald Trump. Right-leaning media outlets reportedly got an early look at some key details contained in the disputed Republican memo released on Friday. That’s according to CNN media reporter Oliver Darcy who noted that Fox News and the Washington Examiner began reporting top-line points contained in the memo while other outlets scrambled to get eyes on the four-page document. In an email to Business Insider, a Fox News spokesperson said the network’s correspondent Catherine Herridge first reported news of the memo’s release. That memo, which President Donald Trump green-lighted on Friday after weeks of hand-wringing over its contents, alleges improper domestic surveillance at the FBI and the US Justice Department. According to the memo, those practices were executed by top law-enforcement officials involved in the Russia investigation, in part because of political bias against Trump. The CNN report suggests that the Trump administration may have authorised select media outlets to receive details from the memo early, which would not be an unusual move. Past administrations have shared information with select news outlets that later was disseminated to other publications. The White House – and Trump in particular – has made no secret of their preference for Fox News, specifically. The Nunes memo is widely disputed – by current and former officials at the FBI and the DOJ, and within the Democratic Party – due to what they say are inaccuracies and omissions that skew the findings. Democrats have produced their own memo that seeks to rebut claims made in the Republican document.